The crash of an Ethiopian Airlines plane that killed all 157 people onboard had “clear similarities” with a crash off Indonesia last October, Ethiopia's transport minister said on Sunday, citing analysis of the black boxes recovered from the wreckage of the March 10 disaster. “It was the same case with the Indonesian (Lion Air) one. There were clear similarities between the two crashes so far,” Ethiopian transport ministry spokesman Muse Yiheyis told Reuters. Both the planes were Boeing 737 MAX 8s, and both crashed minutes after take off. The model had been grounded worldwide over safety concerns. 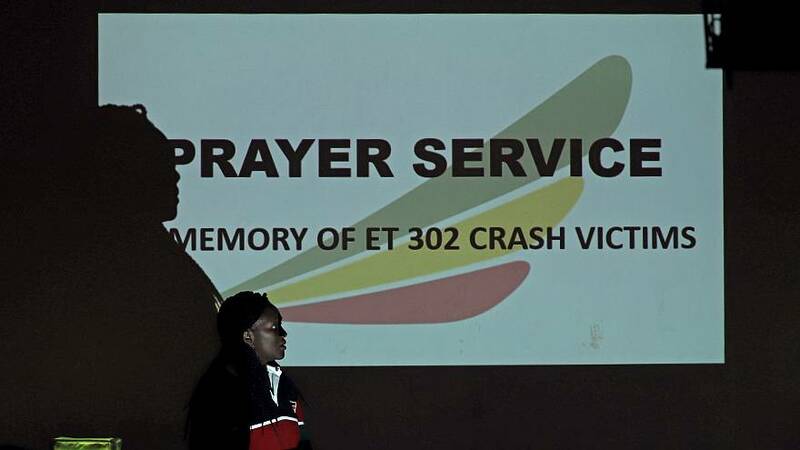 Sources said Ethiopian Airlines Flight 302 had an unusually high speed after take-off before the plane reported problems and asked permission to climb quickly. A source told Reuters the pilot sounded very scared. The plane crashed into a field southeast of Addis Ababa and most of the victims were burned beyond recognition. Memorial services began on Sunday. In the absence of a body, the Ethiopian carrier offered bereaved families charred earth from the plane crash site to bury. Meanwhile, efforts were continuing to identify the remains. Passengers from more than 30 nations were onboard the Ethiopia flight.